If you are thinking of buying an E-bike it can be a bit overwhelming. Many new manufacturers have entered the market in the last number of years and most are online direct to consumer models that do not have showrooms to kick the tires or to go for a test ride. Some E-bikes can be found in bike shops in major cities, but in more rural areas E-bike selection is very limited if any. Depending on where you are located, selection and knowledge about electric bikes can be very limited and you may even find some purists have an attitude towards Electric bikes and feel that it is cheating. This technology is coming whether they like it or not. Some local bike shops are starting to bring in more E-bikes. Bike shops only carry a few lines and selection is generally minimal. 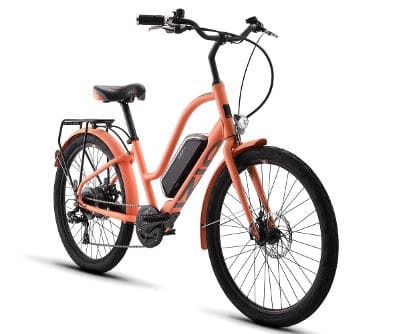 From my experiences locally, there are a few E-bikes around in the spring and sales associates knowledge about Electric bikes is very limited. This means to help you decide before you invest in an expensive E-bike, you have to rely more on online reviews and videos or if you are lucky there may be an ambassador in your area that will let you take a look at their bike and go for a little spin. In the coming years, I hope this website and my Youtube channel will be a resource for people that are interested in learning and buying an E-bike. As mentioned many E-bikes need to be purchased online. A number of E-bike manufacturers are selling directly from China or Japan and have virtually no after sales support. They sometimes are a little less expensive than Canada, US E-bike companies but the additional cost will get you long term support and much easier to get replacement parts. It is inevitable that you will need parts because electric bikes are more expensive so you will want to keep them running for as long as possible and you will probably put on more miles and wear out parts faster than on a conventional bike. See my Complete E-bike Maintains Guide to give you a good idea of how to take care of your new Electric bike. So this leaves you no alternative than to learn about and buy your electric bike online. This is a list of online and brick and mortar Electric bike stores in the US and Canada, some in the US only and some in Canada only and some in both. In the coming year I will reach out to the companies to further review their products and share that information with you. 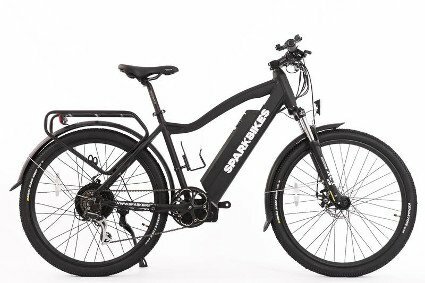 In this post, I have roundup the Best Electric bike Manufacturers in Canada and The USA. If you are a manufacture or know of others that should be on the list please comment below. IZip eBikes is based in Southern California, and their bikes are inspired by the sunny weather, IZIP Electric Bikes come in bright, unique colors with stylish graphics that fit any personality. Their bikes are sold online and have dealer throughout the US. All IZIP electric bikes are designed and built from the ground up with fully integrated electronics. They make a number of different styles from larger family commuters that can carry cargo or kids. Colorful city cruisers with great range and more rugged mountain bike styles for people that like to head out on the Trails. Reasonably priced with good customer service and support. Good positive feedback from owners. IZIP eBikes are worth taking a look at. Raleigh bikes are no new kid on the block. Started by Richard Morris Woodhead and Paul Eugene Louis Angois in 1885 they have been in business for over 125 years. The original location on Raleigh Street, Nottingham is the inspiration for the name. Since being in business Raleigh Bicycles have garnered many awards and have one many cycling competitions. A number of riders using Raleigh bikes have won the Tour de France and many other prestigious races over the years. Keeping up with the new changes Raleigh bikes has introduced a number of electric bikes all are reasonably priced and many with very unique styling. Good customer service, sold in stores and online. If you want a company that will be around for a while then Raleigh Bikes is a good choice. Located in Burnaby BC Voltbike has been in business since 2013. Started in a garage by founder George Krastev. "It all started in our garage with a mission. To bring North America premium electric bike at half the price compared to your local department store." Voltbike has been holding to this promise and offer most of their E-bike for under $2000 and shipped 90% assembled to anywhere in North America for only $49. Their Yukon model is comparable to other E-bike costing upwards of $4000, and the great thing is they are listening to customers and continuously improving their bikes and keeping the price down. They are also offering sale pricing with a 9 to 11 % discounts on all their E-bikes. Customers service can be a problem when they get backlogged with orders, especially in the spring. I have confidence that this is just growing pains and in the next few years, this will be improved. They do have good after purchase service and are very helpful calling is the best as emails sometimes go unanswered. They also have a number of maintenance videos to help you service your E-bike. 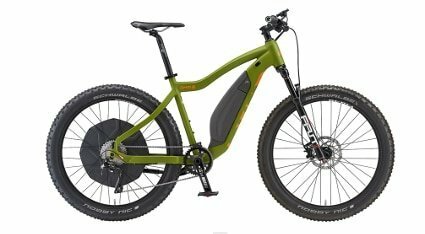 They have some of the best and most inexpensive E-bikes available. Build with good quality components. 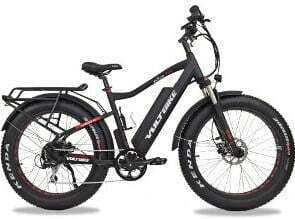 See my Voltbike Yukon Limited Edition Review or my Video Review. Located in Vancouver Canada and started in 2013 Surface 604 also is a company dedicated to producing reasonable priced E-bikes. The Surface 604 team are all cyclists giving them a real perspective of what riders want. Surface 604 keeps it simple and only offers four different E-bike models. They have two commuter models the Colt and the Rook, and if you are like me and like fat tire bikes, they offer the Shred and the Boar a camouflage E-bike ideal for hunters. They use good quality components like SRAM, FSA, Tektro, Kenda, Bafang and SR Suntour. Surface 604 make good quality E-bikes that they sell for a reasonable price. Free shipping in the USA and Canada. Surface 604 has dealers threw-out Canada and the US. You can also buy them directly from their Surface 604 website and have it directly shipped to your house for free. If you are lucky enough to have a dealer nearby, I would recommend you buy it from them to get local support for your E-bike. This is a big plus compared to many other E-bike manufactures that are only sold online and have minimal or non-existent support. Daymak has been around making electric vehicles since 2001. Unlike most E-bike manufacturers Daymak has showrooms and dealers across the country. In the beginning, they mostly offer electric scooters and in the last 10 years, they have been offering reasonably priced E-bikes. The company's goal is to make the world green one vehicle at a time. Daymak has a wide selection of electric vehicles to choose from. They have scooters, e-bikes, electric toy cars. They also offer a number of the super fat tire off-road vehicles including their four-wheel Beast ATV. Many of their off-road electric vehicles have solar-powered batteries to trickle charge as you ride. This gives their vehicles increased range so you can go further on the trails. If you want an electric vehicle that you can go to a showroom and kick the tires and get follow up support then Daymak might be a good choice for you. Go to their website and see where the nears dealer is to you. Evox first introduced their E-bike in 2012. Located in Quebec. 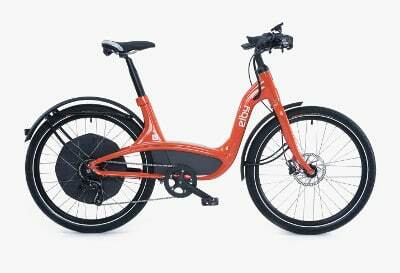 Evox Electric Bike specialize in city commuter E-bikes. 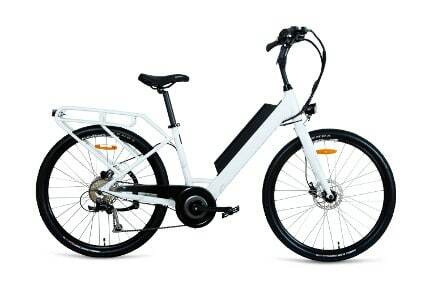 Offering E-bikes like the Evox City780 that can has a range of up-to 100km range on a single charge using peddle assist. Evox has developed their own propulsion system. They have a center hub motor with a belt to to the rear wheel distribute the power to the rear wheel. Evox E-bikes are a lighter than many of its competitors. Designed for city commuting. Comfortable well built bikes that are easy to ride. These bikes are built and designed in Canada from the ground up with custom designed frames Evox have complete control over all aspects of the eVox, from design through production, guaranteeing you receive an exceptional electric bicycle. Ohm Electric Bike is an innovative E-bike manufactured located in Canada. They build premium E-bikes with excellent quality. Ohm Electric Bike builds bikes that are ecologically conscious, economically efficient, and ergonomically sound. Ohms electric bike is designed to recharge the battery when brakes are applied. Ohm bikes give you the ability to select from four regeneration modes. The system automatically recharges when the rear brake is applied. This can extend the range of the bike up to on 15% on average. Spark bikes is a relatively new Canadian company that has been in business for three years. I spoke with Ace one of the owners and he said they are committed to providing the best possible E-bikes with quality components and at a price that can't beat. They offer 5 different electric bike models. Starting with the Spark Bolt a small light city foldable city cruiser that is great for smaller people that do not like the idea of a fat tire bike priced at only $1199. The more rugged Spark mini a foldable fat tire E-bike. They also offer three full-size bikes the Spark City, the Spark and their most expensive model the Spark X a fat tire E-bike, that is a very rugged E-bike that is great to ride year round and in the snow. It is priced at $1699. Much less than many comparable bikes on the market. They have free shipping throughout Canada and a full 12-month warranty. Spark Bikes is constantly improving their bikes and will have some newer models available for the spring of 2019. 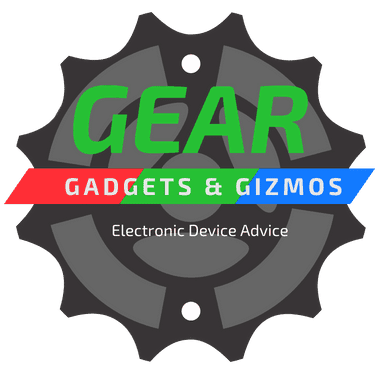 Definitely a company worth considering if you are interested in purchasing an E-bike. Rad Power Bikes is one of the granddaddies in the electric bike world and has been around since 2007. Originally an online store direct to consumer only, based out of Seattle Washington. Rad Power Bikes has expanded to have two storefront locations one in Vancouver, Canada and one in the original location in Seattle. All their E-bikes have been designed in house and is leading the way in quality components and value. The Radrover is their flagship and most popular bike. The new 2019 model has many new upgrades with added safety features like brake lights, flashing lights and premium Juggernaut tires with a reflective sidewall stripe that makes you more visible to others and a providing a very comfortable ride. 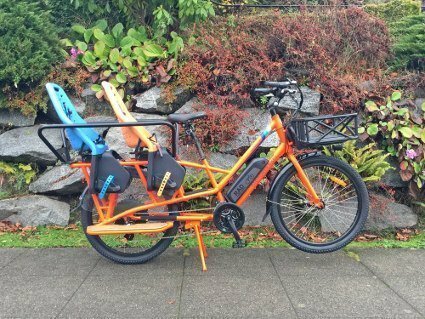 The Rad Wagon is also a very popular and unique bike that is a larger bike that can accommodate a few children riding on the back and can easily replace the second car as a family commuter. Excellent customer service with mobile service providers in many areas. 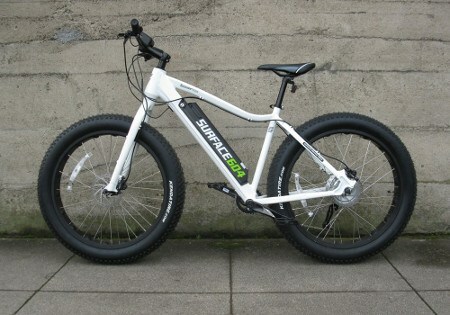 This company is well established and will be around for a long time making excellent E-bikes at an affordable price. The M2S Bikes company was started in 2015 with a successful crowdfunding campaign that raised $95,000 in pre-orders for two models of E-bikes and successfully delivered in 2016. They want to produce the best E-bike possible for the most reasonable price. Since releasing their first two models they have introduced a number of new models. Comparing to other E-bike companies M2S Bikes are built with above average components. Adding hydraulic brakes and front shocks as well as using Kenda Juggernaut tires but yet offering many E-bikes for under $2000. They also have E-bikes with carbon fiber frames priced at a reasonable price. Their all GO Carbon Electric bike comes in at only 39 lbs about 20 lbs lighter than many E-bikes on the market. M2S Bike has been getting positive reviews and feedback from consumers. I think M2S Bikes is worth giving a try. Trek Bikes is truly an American company. They are the largest bicycle manufacturers in the USA has been around making innovative bikes in Wisconsin since 1976. The founder Richard Burkes started making his first bikes in his barn. They were one of the first bike manufacturers to make a steel frame. They have also been making professional for cyclists around the world. All Trek Electrics bikes have a mid-drive motor. Their E-bikes are a premium bike built with high-end components and full suspension great paint finishes and a lighter than many other E-bikes. 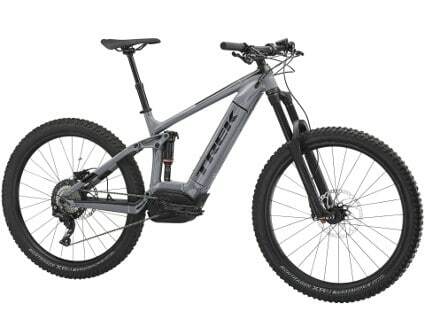 Trek electric bikes come with more sophisticated electronics that monitor your ride and automatically adjust for smoother shifting and range. Along with the premium quality comes a premium price. There most inexpensive E-bike starts at $2,400 and can go up to $ 9,000 for serious riders. Trek Bikes have a premium price but what you get with that is service. There are many deals across the US and Canada so you can go and test drive one before you buy. eProdigy is a newer Electric bike company that started in 2011. The main designer and inspiration for the company is Jimmy Chan a man that has been in business fabricating and inventing things since 1978. He has a passion for life and for clean energy and believes exercising every day and being happy is the key to life. With this philosophy, he wants to help older people stay more active a design a better Electric Bike. Specially designed by Jimmy Chan all eProdgy e-bikes are based on their own coaxial Bottom Bracket Motor. This keeps the bike relatively simple giving you pedal-assist technology and convenient thumb-throttle control with the same shifting feel as on a regular bike. This design also makes it easy to remove the tire making repair a flat. 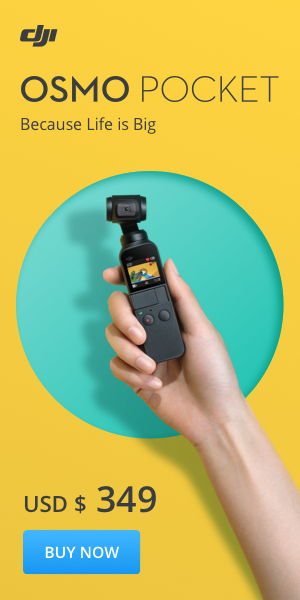 One of their latest models is the Magic (Pictured above) has been designed with major input from their customers. A step thru design and a battery mounted lower on the frame. And they have a USB port on their battery. They have stores locations and dealers across Canada and the US and seem to be committed to good service offering a full two-year warranty and lifetime care. Specialized is a bike company that has been around since 1974. Their tag line is "Made for riders, by ride". They have always been innovators and have helped push the bike industry forward. The where one of the first companies to make production mountain bikes. To help them go faster they made their own wind tunnel to test and improve their designs and also added carbon fiber for incredibly light bikes. They have also created a 501c3 nonprofit, To help kids with ADHD a program that promotes cycling as a tool for kids to start riding for focus by investing in primary scientific research and school-based cycling programs. Now to the bikes they build premium electric bikes that are built for serious riders and custom built for the individual rider. 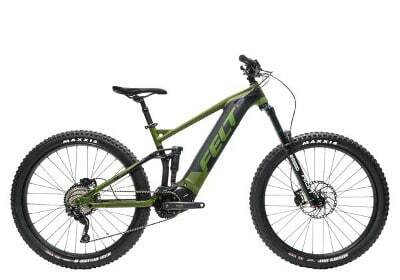 Their top of the line Electric mountain bike is priced over $14,000 with center hub motor and quality high end components. Their street cruiser line start at $3300 and go up from their. For a good quality premium bike check out Specialized bikes. Biktrix started in 2015 in Saskatoon, Saskatchewan by a young entrepreneur named Roshan Thomas. He launched a successful Crowdfunding campaign raising $69,000 by preselling sell a fat tire Electric bike for $1500. Since their first bike launch, they have had 3 revisions of the Juggernaut, and 2 revisions of the Stunner their two main sellers. They have also introduced 8 new models since their beginning. 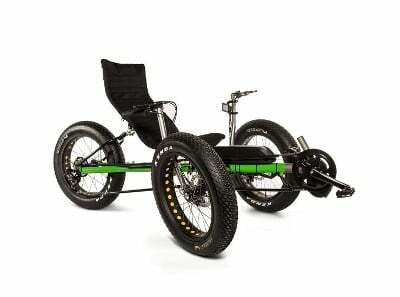 They recently launched their Biktrix Thunder a three-wheel trike with fat tires. Biktrix bikes are the lightest power: weight ratio bikes in their category. All their bikes are built to order and most have center hub motors. Good customer service and warranty. Good feedback from customers so far, reasonable pricing and they offer financing on their website. Giant Bicycles was started in 1972 in Taiwan. In 1995, Giant designed the first road bicycle with a sloping top tube featuring a smaller rear triangle. In 2016 the introduced their first E-bike the Road-E+. Giant is the world’s largest producer of high-quality bikes. The Road-E+ was built by Giant from the ground up. With custom frame mid drive motor, built-in battery, and high-end components. They have since introduced several different models for street riding and serious trail riding. Prices are a little higher than some other E-bikes on the market but Giant's E-bikes are not just parts from China bolted together but a custom made E-bike with great quality. Giant has dealers throughout Canada and the US so customer support is very good, unlike some online E-bike retailers. Giant has been around for years so you can be sure they will be here in a few years to service their bikes. If you are looking for a good quality E-bike that you can go to a local dealer and test drive. A Giant E-bike maybe the right bike for you. Back in 2007 two men Robert Provost and Daniel Aguila were running a successful company located in South Florida. They manufactured electronics for consumers and businesses. The also had a 12000 sq ft motorsports store. The grew frustrated with the quality of E-bikes they were getting from overseas. They found they were replacing components on prefab bikes with better components and grew frustrated that the bikes were not made better. They decided to build their own bikes and by 2010 with much research and trial and error. They introduced their G+ series. The Mariner a folding E-bike, the Genesis and the Storm. All were well received by the public. 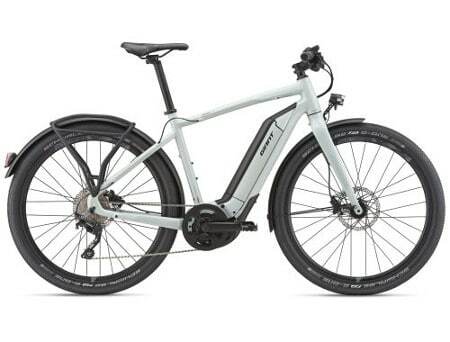 Since then Prodecotech have continually improved their bikes and have introduced an additional number of models for a selection of more than 25 E-bikes to choose from. Quality E-bike at a reasonable price point. Good quality bikes designed, developed, assembled and quality controlled in the USA. They have dealers throughout the USA and provide good customer service. e-Joe founded in 2008 in San Diego, California. They wanted to make unique electric bikes that were affordable and targeted at the commuter. Leaving the fat tire off-road market to other e-bike companies. 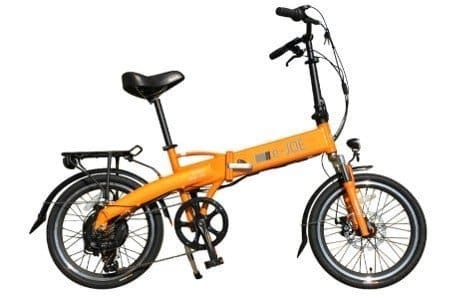 They have only three electric bikes to choose from the EPIK SE Electric folding bike that many hail as the folding E-bike of the year. Looks like a regular bike with battery hidden in the cross frame. The Gadis Step-Thru Cruiser is a great city bike with a great range that is ideal for women and people that have difficulty getting on a bike. eJoe's third bike the KODA Sports Class commuter. The KODA has a little more power and range than the Gadis and will appeal more to men and people that prefer a higher crossbar. Making E-bikes for close to 10 years ago and sticking with three models and improving each year with customer feedback and better components. All three eJoe models come with front suspension full fenders, lights, rear rack and batteries that are mounted lower in the frame for better balance. All their bikes are priced under $2000. This is a young company building bikes out of Santa Clara California with young guys that have a real flair for mixing the old and new. 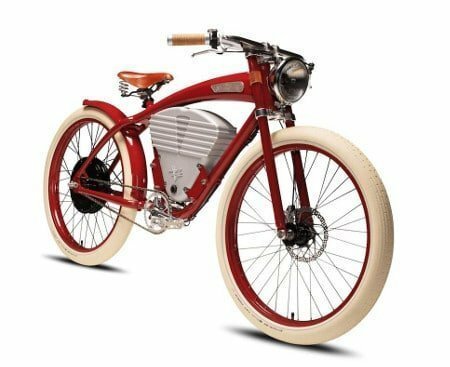 Vintage Electric build vintage style bikes with state-of-the-art electric drivetrains and components. Classic retro contemporary style, with modern form and function. If you want a really stylish looking E-bike then Vintage Electric bikes have that down. 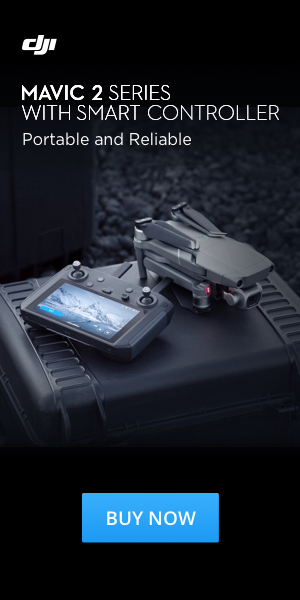 Regeneration of power when breaking that gives the battery 10 to 15 % additional range. Comes with front suspension and a a number of classic colors choices. Not the lightest E-bikes on the list but these electric bikes have power. Not the most inexpensive e-bike available but I think for coolness Vintage Electric Bikes rates a 10 and the price compared to other bikes in this class is not too bad. Elby bikes is a very unique bike company started by Frank Stonach a Canadian car parts manufacturer. Bring his car manufacturing background into the picture the designed the Elby from the ground up. 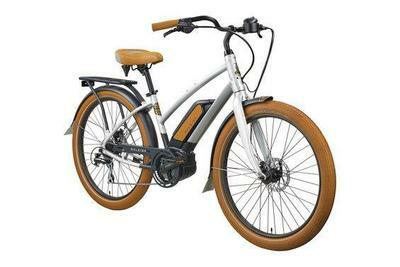 The Elby Electric bike has a unique stylish step thru design that makes it very easy to get on and off. The Elby features many premium components like the BionX D series motor and hydraulic disk brakes with regeneration when you hit the breaks this can extend the range about 10 to 15%. This bike is very ergonomically designed with comfortable hand grips and a comfortable seat and a great feel when you ride it. With all the major components like the motor and battery gives the bike a lower center of gravity that gives the bike a natural feel with better balance. Elby has recently introduced a few new models but have stuck with and refined their first model for the last few years. Two models are available the single speed and the nine-speed bikes. The single speed version is ideal for city commuters that want a simple operation and do not want to mess around with shifting. If you are looking for a quality made electric bike and you like the style of this bike I am sure you will not be disappointed. I have seen a lot of positive feedback from customers and reviewers. Felt Bicycles was founded in California in 1991 by a few outdoor fanatics and "strived to be the most innovative cycling company on the planet". They radical departure from the bicycle design norms of the late 1980s and designed award-winning bikes. Their bikes have helped support many top athletes and their bikes have been ridden to wins all the Grand Tours, record-breaking triathlon world titles, Olympic gold medals, and world championships on the road, trail, track, and cyclocross race course. Felt has always been there. A few years back they have taken their Knowledge of bikes and have developed and designed some excellent Electric bikes. High-end mountain bikes for serious competitors and a few street cruisers for the everyday commuter. Priced a little more premium than many other bikes but they are a good value for what you get, plus they have dealers for better support than some on this list. Felt bicycles are good quality bikes that are worth it for thee serious rider. So there you have it, my USA and Canadian Bike manufactures roundup. I am sure I have missed a few. If you are an E-bike company or know of a company that should be on the list please comment below and I will add it. The E-bike market is growing and is getting more competitive. E-bike prices are dropping and the profit margin for electric bike manufactures is shrinking. Many new bike companies will be starting but if they do not do their financials right they may be a casualty in a few years. The longer a bike company has been in business the better chance it has of continuing. Older companies are more established and have already made many changes thru the years to enable them to survive. Do a little research before you buy, read some reviews find out what other people have experience with a bike and company. The aftercare can be very important. This will help ensure you will be able to keep your bike running for a long time.